COOKEVILLE – J&S Construction recently teamed up with Mustard Seed Ranch (MSR), a community-sponsored, interdenominational Christian ministry designed to take children out of unsafe environments and place them into loving, nurturing homes, and the company will be providing architectural drawings for a new family home to be constructed at MSR’s campus just north of Cookeville. J&S Construction is donating all fees associated with the in-house architectural design for this large residential home as MSR looks to break ground this coming spring on the approximately 6,800 square-foot facility specifically designed to house multiple children in a cozy, residential setting. The new home will have enough space for one set of house parents as well as eight to nine children depending on the organization’s current needs. The house will include 10 bedrooms, six full-size bathrooms, a large kitchen, several large gathering spaces, a large patio and a large wood deck located off the rear of the home. 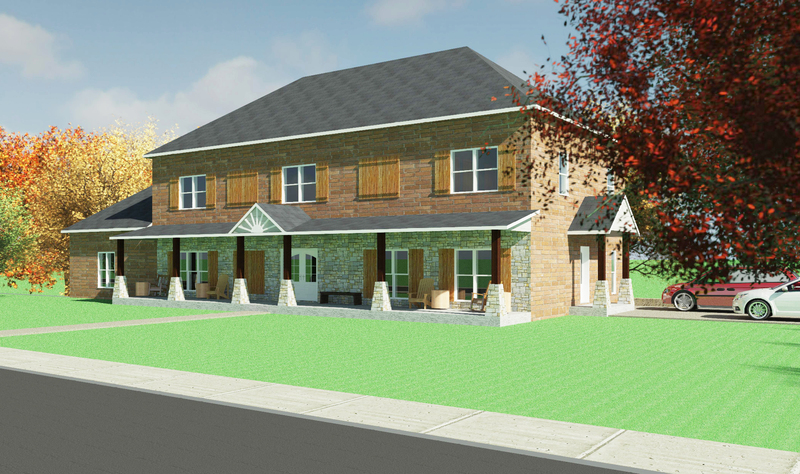 In addition, the basement will provide the family additional space for a two-car garage plus another large gathering area, giving MSR the option to expand should future rooms need to be added. The wood-framed facility will include a full brick veneer exterior and a premium shingle roof system and is designed to meet all state regulations which includes a full fire sprinkler system, fire walls and all required egress. MSR holds a special place in J&S Construction’s heart as the company donated the materials and furnished the labor to erect MSR’s administrative building in celebration of J&S Construction’s 50th anniversary back in 2007. Safety, functionality and energy efficiency all come together to make this a special home for the next family at MSR.